Are the other glitches there too? The first generation of PokÃ©mon titles is known for having a few fun glitches that have become iconic in video gaming. The most well known is probably the Missingno glitch. Missingno is the result of the encounter data attempting to send out a wild PokÃ©mon outside of the normal range of slots that PokÃ©mon occupy. 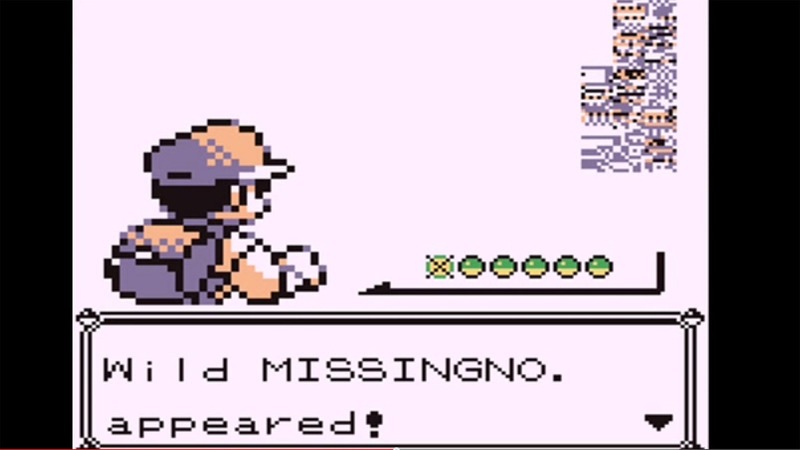 The result is that you end up battling a glitched up sprite with the name "Missingno" for "Missing Number." Recently a YouTuber going by Epi Demie posted footage of PokÃ©mon Blue on a Nintendo 3DS and showed that the Missingno glitch is still alive and kicking. This lends credence to the theory that the Virtual Console releases may just be the original ROMs in a wrapper.